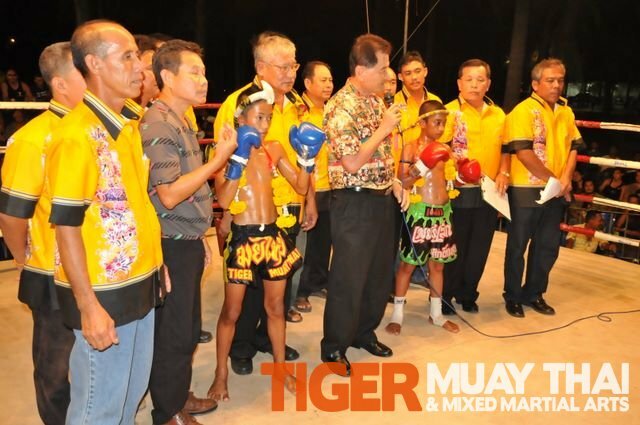 It has been a busy week for Tiger Tuay Thai and MMA training cam, Phuket, Thailand fighters as they go 6-1 in fights in Phuket, thailand and Malaysia scoring 6 Ko’s and 1 loss on points. 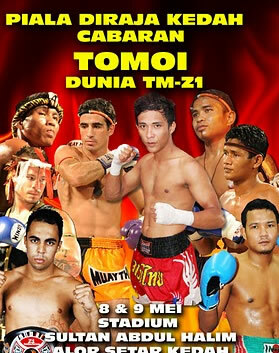 In Malaysia, Fausuchon won by 2nd round KO as promoters in Malaysia are looking for opponent for TMT fighter Cyrus Washington for event in June. 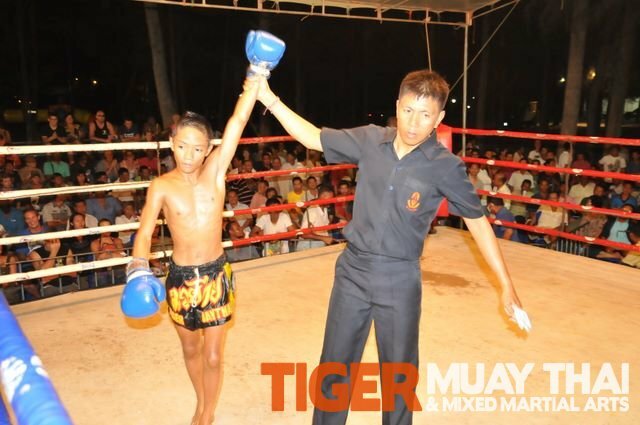 At Nai Harn Muay Thai Charity event on May 9 Muay Thai fighter Steve scored a 3rd round KO over rival camp fighter Erik at Nai harn Chaity fights, while Kok continued his KO streak and Phalangphet won on points. At Bangla Stadium on May 10, Tanwa scored a 2nd round Elbow KO, Nong scored another 2nd round KO and TMT’s youngest fighter Pee. lost a decision on points.